While our phones are always on us, our chargers often get left behind. 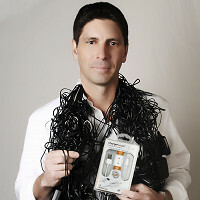 Tired of losing charging cords in hotels, conference rooms, and airports, frequent business traveler Brian Tedesco created ChargerLeash—a smart 3 or 4 foot cable that sounds an audible and visual alarm when disconnected. 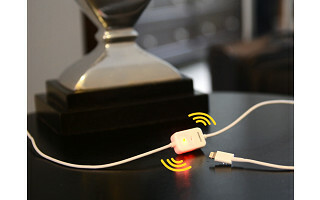 Like the annoying, but ever-so-effective seatbelt reminder in your car, this on-the-go charger leash beeps, beeps, and beeps a few seconds after you remove your cell phone and other devices to ensure you and your charging cord never get separated again. Hi Grommet community. We created ChargerLeash because we lost one too many cords in our travels, and thought about ways for the cord itself to tell you it was waiting for you to pack it up and take it home. We hope you'll never lose another charging cable. Let me know if you have questions. This sounds like a great idea. How long does the alarm sound? Amy from The Grommet team here. The alarm sounds until you re-attach it. However for the pro-series there is a snooze feature as you will see in the details. For the iPhone 5, you can purchase either the Charge & Sync Smart Lightning Cable or the Pro-Series Charge & Sync Smart Lightning Cable. While our phones are always on us, our chargers often get left behind. 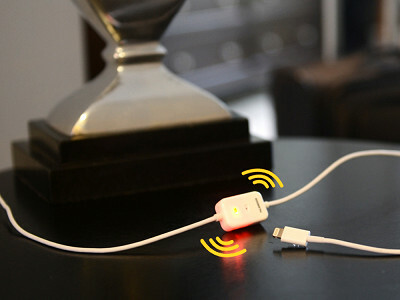 Tired of losing charging cords in hotels, conference rooms, and airports, frequent business traveler Brian Tedesco created ChargerLeash—a smart 3 or 4 foot cable that sounds an audible and visual alarm when disconnected.